I almost forgot that it was my turn again to moderate the BMC Blog last week, but I was glad to realise it when I read some of the interesting posts that we had in store! 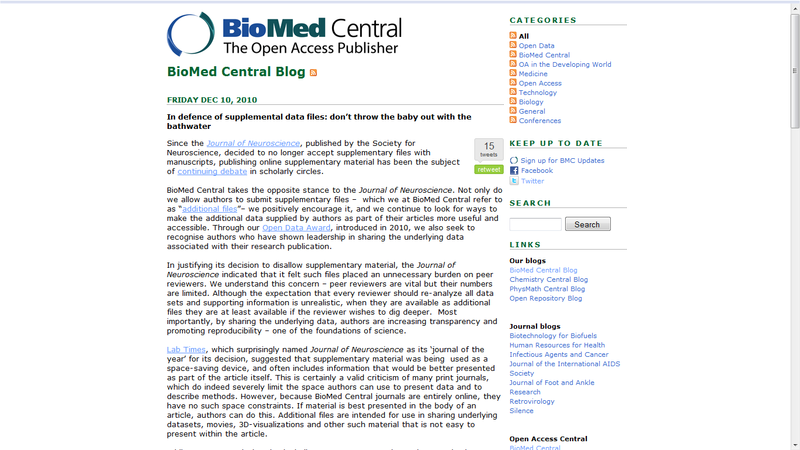 Find out how you can submit a manuscript to a new journal established for the Herpes research community, or submit a paper for a new series on chronic health conditions to be published in Globalization and Health; read a commentary on the proposed link between depression and the menopause; investigate the uses of clud computing in genomics, and read opinion on open data access from BioMed Central’s head honcho, Matt Cockerill and Journal Publisher Iain Hrynaszkiewicz. Enjoy!